We’re probably all familiar with BB creams. They’re a jack-of-all-trades brought to fame by the Korean cosmetics industry (think Missha and Dr. Jart+). They’re now used all over the world, with big western brands like MAC, Smashbox, and NYX even releasing their own versions. 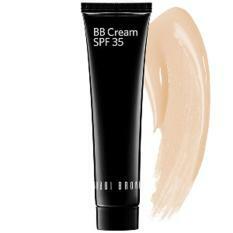 BB creams are an all-in-one product that functions as a moisturizer, primer, sunscreen, and foundation. Depending on the brand or product, the benefits might differ, that’s why we’ve prepared this guide to help you find the perfect one. Our skin is still healthy at this stage in our life, and its renewal process is still functioning well. But some skin concerns also start to pop up: adult acne, dryness, large pores. Some also experience hormonal imbalance, which can be a major contributor to the aforementioned concerns. That’s why our skin needs proper care and protection. We need to use adequate sun protection and anti-aging products to help preserve our healthy skin. Of course, don’t forget to properly hydrate your skin and treat adult acne. BB creams are known for providing several benefits in one simple step, but understand that while it is a jack-of-all-trades, it is also a master of none. Sure, you can use it alone on days you really don’t have time, but do not always rely on them. The ‘BB’ in BB cream stands for blemish or beauty balm, and contrary to popular belief, BB creams did not originate from Korea. They were developed by a German dermatologist whose patients needed to cover up the redness from harsh facial treatments. BB creams were created to provide skincare benefits while giving enough coverage in place of a foundation. 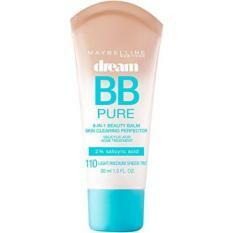 BB creams have since evolved, and new formulas and more shades have also been released. They’re a very convenient item to have in our makeup collection as they’re perfect for days we just don’t have time to do everything. 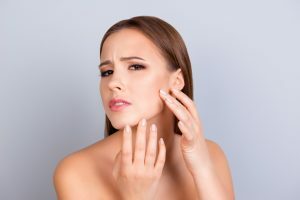 Now that we know that we do need to pay more attention to our skin during our 20s, let’s learn how to choose an appropriate BB cream for our skin, which will provide our skin with the care and coverage it needs. Just like any other cosmetic product, some BB creams are just better suited to certain skin types. We’ll break down what you need to look for to care for your dry, oily, acne-prone, or sensitive skin. It goes without saying that if you have dry skin, you must look for highly BB creams that both hydrate the skin and lock in its moisture. Look for BB creams that contain humectants or ceramides, which aim to restore your skin’s moisture. Other hydrating ingredients to look out for are hyaluronic acid, snail mucus filtrate, aloe vera, and vitamin E. It’s also important to bring back that healthy glow and radiance, so look for light reflecting pigments like pearl powders. If you have oily or combination skin, look for BB creams that regulate oil production, and not dry out your skin. Look for mattifying or oil-free BB creams, which minimize the appearance of pores and keep your face shine-free. Check for ingredients like pomegranate extract and silica, which help regulate oil production. Natural antiseptic ingredients, such as lavender, rosemary, and chamomile, that fight bacteria are also recommended. Also, remember that it’s important to hydrate oily skin. Hyaluronic acid and aloe vera gel are both lightweight, yet potent enough to hydrate the skin. Ingredients to avoid would be mineral oil and petroleum because these suffocate oily skin and clog pores. 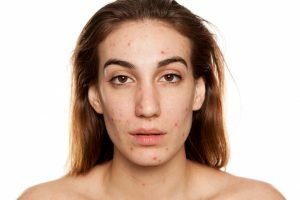 If you’re prone to acne breakouts, look for oil-free BB creams that contain ingredients like salicylic acid, which combat acne. Also, check for bb creams that contain antioxidants, because they help alleviate breakouts. Make sure the BB cream is noncomedogenic, which means it does not contain pore-clogging ingredients, such as stearic acid and shea butter. Another thing to focus on is reducing redness and inflammation. Look for soothing ingredients like green tea, aloe vera, and cucumber. 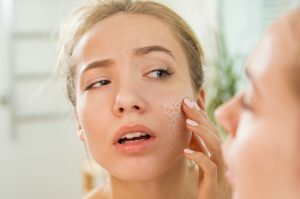 Acne scare may also be a problem, so check for brightening ingredients that reduce hyperpigmentation, such as arbutin and vitamin C.
Having sensitive can be a pain. There’s always that one ingredient that seems to irritate sensitive skin, which causes rashes, breakouts, or other skin troubles. Stay away from BB creams that contain irritants like parabens, fragrances, sulfates, and gluten. Noncomedogenic formulas are also good for sensitive skin because you’re unlikely to get a breakout from clogged pores. The best way to maintain our healthy skin of our 20s is to protect it from the sun. A lot of skin troubles like warts, wrinkles, premature aging can be contributed to the sun’s harmful rays. There are two types of harmful rays we are exposed to every time we go out into the sun, UVB and UVA. UVB rays cause the skin to turn red, while UVA rays cause premature aging and other skin problems. The is why we need to choose BB creams with broad-spectrum sun protection. Do not go for products under SPF15 as they cannot offer protection from UVA rays. It is recommended to go for products with SPF30 or above for adequate sun protection. Don’t get us wrong though, we don’t recommend solely relying on the sun protection that BB creams can offer, but it is something you need in the formula if you’re planning on using it alone. Not all BB creams in the market are created equal, that’s why we’ve prepared a list of the best BB creams that are available online for purchase in the Philippines. We do hope you find something of interest. 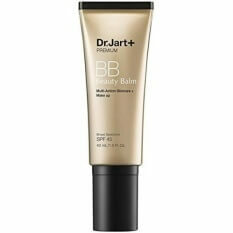 This multi-tasking BB cream is formulated to clear your skin of blemishes and minimize the appearance of pores. It contains 2% salicylic acid, which is the highest percentage you can get without a prescription, which makes it gentle to use every day. It also adjusts to your skin tone while blurring skin imperfections. It also contains chamomile extract, which calms inflammations and protects against breakouts. It’s lightweight, oil-free, and noncomedogenic, so it doesn’t clog your pores. 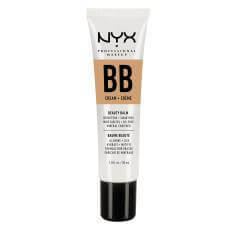 This BB cream provides a medium to full coverage. It also moisturizes the skin with hyaluronic acid, jojoba oil, macadamia nut oil, and vegetable collagen. Plus, it soothes the skin with bisabolol, licorice root, and allantoin. Although this product has oil controlling properties, we don’t recommend it for people with very oily skin as you will see shine after a few hours. This product will work best with normal to dry skin. It also has a delicate fragrance, which some people may be sensitive to. 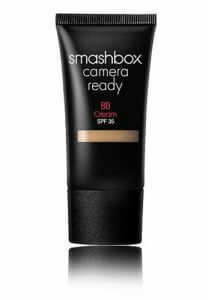 This lightweight BB cream is the perfect choice to create that no-makeup makeup look. It’s formulated without oil, so it isn’t heavy on the skin. It uses a mineral-infused formula that hydrates the skin and smooths out imperfections. It gives a satin finish, so it perfect for those of you who do not like a completely matte finish. Although it only provides a little coverage, it can cover up a bit of redness. To completely cover up darker acne marks or scars, you may need to apply a bit of concealer. 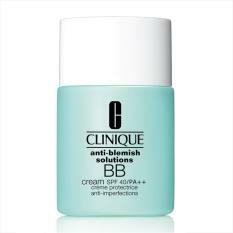 This BB cream is formulated without chemicals, parabens, and alcohol, which makes it safe for sensitive skin. It’s formulated with plant-based ingredients like gingko biloba, squalene, ceramide, ginseng extract, licorice root extract, and pumpkin extract. Gingko biloba provides sun protection, squalene and ceramide hydrate the skin, ginseng extract brightens the complexion, licorice root extract soothes inflammations, and pumpkin extract exfoliates the skin. It does, however, contain dimethicone, which isn’t good for people sensitive to silicones. This BB cream blends into your skin easily, plus, it contains damask rose flower water and acerola extract, which brightens, moisturizes, smooths, and protects the skin. It also has anti-aging properties and adequate sun protection. One small pump is all you need to cover your face, so be careful not to pump out too much. It’s also extra hydrating, so it’s best for normal to dry skin types. It won’t last long on oily skin as a bit of shine already starts to seep through after a few hours. 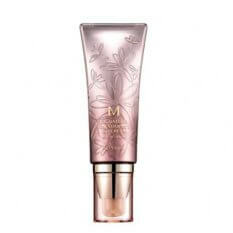 This product is a mattifying BB cream developed especially for oily and acne-prone skin. It’s weightless on the skin, it hides imperfections, and most importantly, it does not cause breakouts. It also provides high sun protection at SPF40. It doesn’t give a lot of coverage, but it’s enough to minimize redness and the appearance of pores. It has a matte finish, but it doesn’t dry your skin out. It’s long lasting for up to 10 hours without caking or oiling up, so you can stay shine free all day long. This mattifying BB cream contains silica, which absorbs oil as soon as it appears, so it’s perfect for oily and combination skin. It also doesn’t cake or oxidize after a few hours. It contains hyaluronate, which boosts the skin’s hydration, and caffeine, which prevents redness. It also has light-reflective pearls, which brighten dull skin and minimize the appearance of pores. It also has a collagen-boosting peptide that fights the signs of aging. It does, however, come with a hefty price tag, but if you decide to try this, it will be worth every penny. 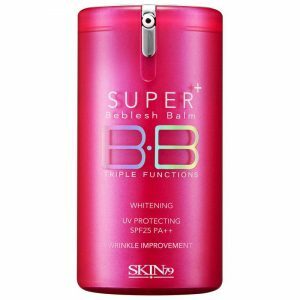 This BB cream is perfect for people with oily skin, it even stays on through humid weather. It also evens out skin tone while providing hydration. It has a light, buildable coverage, which reduces the appearance of fine lines. It also contains anti-aging peptides, pearl pigments, and emollients. It has broad-spectrum sun protection, which means it protects your skin from UVB and UVA rays. Despite it’s high SPF, it won’t cause any white cast in pictures. It’s oil-free, paraben-free, fragrance-free, and talc-free, so you can use it on sensitive skin. The BB cream evens out skin tone, prevents shine, blurs skin imperfections, and improves the skin’s texture while protecting your skin from the sun’s harsh UV rays. It has a bit of a thick, creamy consistency, but it’s lightweight on the skin. This does not have a lot of coverage so it’s perfect for days you want to go light. It also handles well during hot and humid days–even lasting through your sweat. It also has a really nice fragrance, but this may be bad for people with sensitive skin. 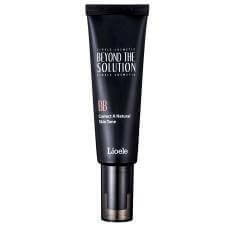 This BB cream has great anti-aging properties with ingredients like bio-peptide complex, which boosts natural collagen, and adenosine, which improves the skin’s elasticity and firms skin. It also contains arbutin, which helps brighten and even out our complexion. It also contains titanium dioxide and zinc oxide, which provide broad-spectrum sun protection. It has a moist and sticky consistency that’s ideal for dry skin. Although this product is formulated without sulfates and phthalates, it does contain parabens. Overall, BB creams are a great, more lightweight option to replace your foundation. They not only provide adequate coverage and sun protection but also treat our skin concerns. We hope you’ve learned a few pointers, and maybe, hopefully, have found something to your liking.